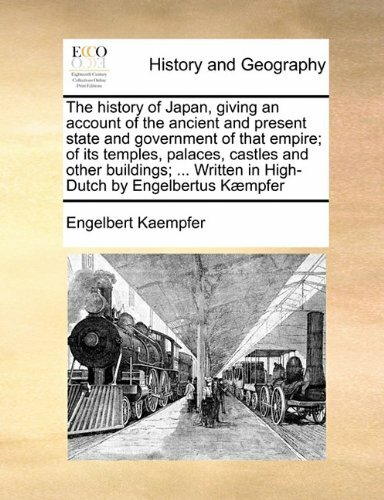 This very brief overview of Japanese history makes an excellent introduction for travelers and businesspeople who will be visiting Japan and want a macro-view of epoch-making events, cultural influences, and personalities. 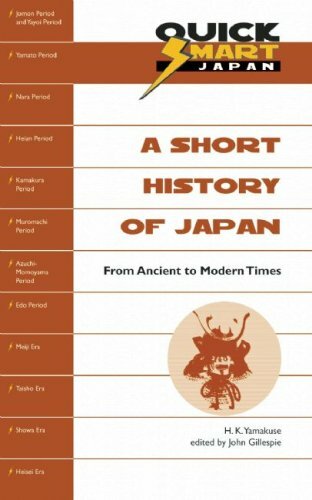 While moving rapidly over 1,500 years, the concise text still conveys the essence of how Japan came to be, and the challenges the nation still faces. 9. 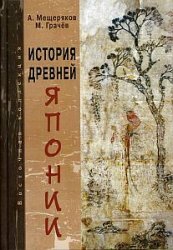 ILLUSTRATIONS TO THE EPITOME OF THE ANCIENT HISTORY OF JAPAN (Japan and the Lost Tribes of Israel). 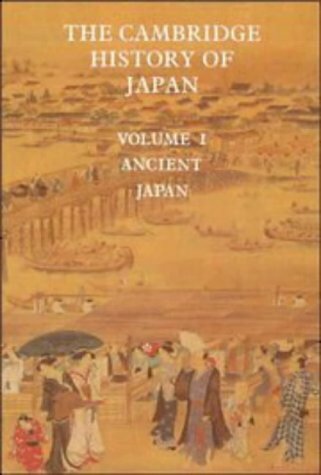 'Ancient Japan' is the initial volume in 'The Cambridge History of Japan. 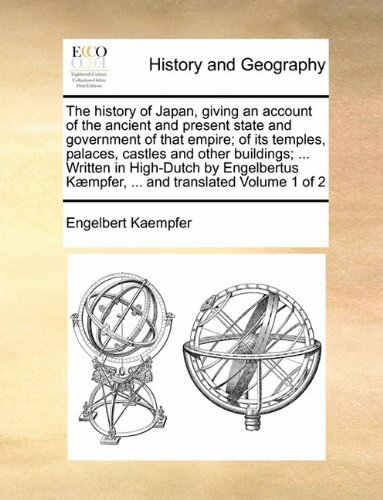 'As such it is a stunning effort to collect and organize the results of recent discovery about of Japan's early history.What surprised me from the beginning of the book was how much of Japan's early history has only been discovered in the last half of the 20th Century.In that period of time archeology and scholarship has added vast amounts of information to the story, dispelling some myths and affirming others. The format is the classical form of a series of chapters written by experts in the field.Delmer M. Brown, who is Professor Emeritus at the Center for Japanese Studies (UC Berkeley) has done an excellent job of bringing the work together and making this first volume work as a whole, including writing a good piece of the text himself.Eight other writers contribute, with sections on the Jomon, Yayoi, Yamato, Asuka (century of reform) and Nara periods, ending with 784 CE.Collateral chapters on Japan's relations with the continent, Kami worship and Buddhism, Nara economic and social institutions, and culture are also included to fill out the overall picture.The religious and cultural studies I found particularly informative. 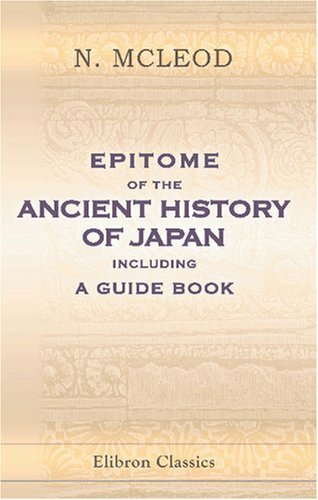 When a book attempts to cover this much material, the pace of exposition is often overwhelming.Brown manages to keep this from being extreme, but it would be dishonest to describe 'Ancient Japan' as a leisurely armchair read.On the other hand, it is the perfect vehicle for forming a mental picture of the periods under study, and identifying additional sources for further reading.As such, the footnotes, citations, and index/glossary are invaluable.In addition, the writing is all in a competent academic style that never bores, even when it fails to excite.Despite the steep price this volume is an important addition to a scholarly library.I am looking forward to the rest of the series. Titlepages in red and black.With an additional titlepage, engraved: 'Historia imperii Japonici', and a list of subscribers, in vol.1.Large paper issue. I do living history and make many of the items I use including armour. This book has a weath of information on the subject, clearly written and great photo in color. I would recomend this book for all living history members and even the causal reader. For any aficionado to the Samurai history this book is a kind of 'must have'.The book is very complete with many pictures, diagrams and information; however, the only reason why I did not give it the 100% is because this book is not an 'entry level', it is not for the amateur who is just tempting the waters on Samurai history; this book is for someone whom has average to good knowledge on the matter.As a personal suggestion, read the excellent book 'Samurai Source Book' by Stephen Turnbull; there is a section in that book that makes an introduction to the Samurai armor.Once you read it, then go to this book and everything would fall in place, and you'll realize the diversity and uniqueness of the samurai armor and arms. This is a large book full of excellent photographs and drawings which would, on their own, make the book an exceptional coffee table book for leisurely thumbing through.It is also an extremely well researched, incredibly in-depth textbook on the design, function and history of samurai armament.If you have an interest in the subject, there is no substitute for this book. 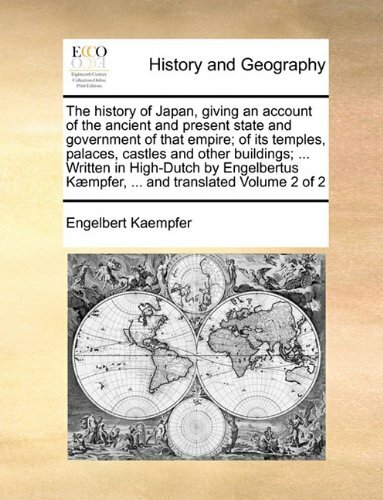 A completely fascinating look at one of the most intriguing periods of history, the Ancient Japanese period equivilent to Medieval Europe. 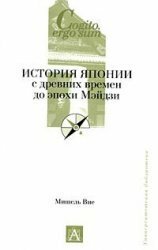 This book details the arms and armor of the Samurai class that dominated the battles, protecting their aristocratic interests, the Samurai were the champions of their era, always following the code of Bushido. This book is superb in it's presentation of rare photographs of authentic weapons and clothing worn by the Samurai, imcluding the beginnings with archery and weapons of hand to hand combat. The novice historian will be fascinated by the intricate breastplates made of leather, often embellished to the point of art. The helmets are elegant displays of fine tooling and craftsmanship . The arms themselves are exquisite. The blades of the swords or daggers are hammered with fine details that was only fitting of the Samurai class but the fine craftsmanship continues to this day. The similarities to the arms and armor of Europe are interesting and when taken as individual pieces they are at times hardly distinguishable. The Japanese culture however is reflected in the terrifying masks worn to frighten their opponents. The face plates are beautiful representations of a wonderful culture. The ornate wormanship involved in all facets of the "war gear"can only be considered art now as it is so intricate and detailed that it amazes the senses. An example is the display of delicate tsuba or sword guards that have intricate patterns or designs that are nothing less than inspirational pieces of art. The totality of the outfits are mind boggling in terms of sheer beauty. This book is an excellent addition to the novice historian's library or collector of books relating to Japanese culture or what I call art. The excellent glossary is ideal for the novice who desires to know more than just what a katana is. Every piece of arms or armor is given in the language of the Samurai and explained in English. An extremely useful tool for a middle or high school instructorto compliment his course on World or Japanese history. This book is a treasure of text and photographs of one of the most colorful periods in history. Titlepages in red and black.With an additional titlepage, engraved: 'Historia imperii Japonici', and a list of subscribers, in vol.1.